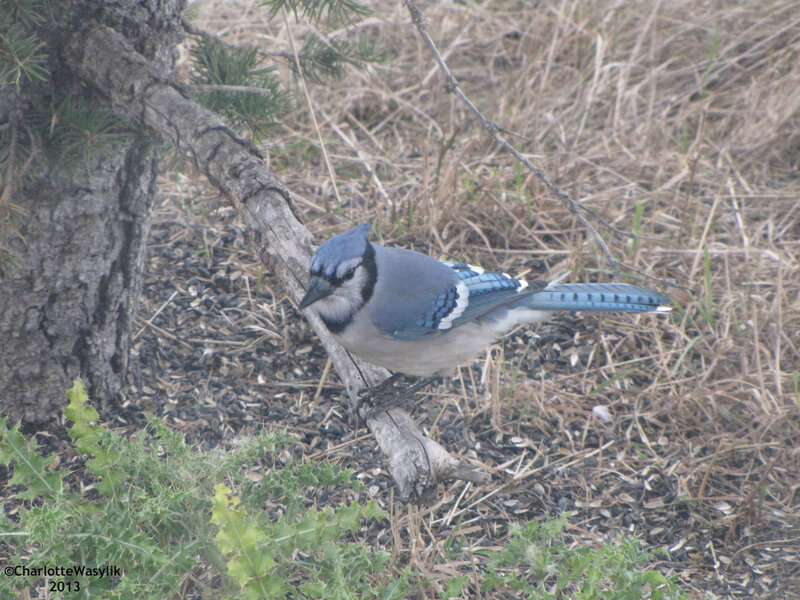 This entry was posted in Alberta Birds, Autumn, Birding, Blogging, Canada Birds, Fall Migration, Feathers on Friday, Feeding Birds, General Birding and tagged Blue Jay, Feathers on Friday. Bookmark the permalink. Great photo of one of my favourite loud, noisy, bossy birds. Blue jays act as the look outs at my feeders, always watching for me to come outside and fill up for the day – they scream to the rest of the bird world that I’ve finally gotten outside, Other birds then show up in droves… very funny how great they are as look outs. I like your blue jay, Charlotte! And speaking of blue jays, here’s a Feathers on Friday for you from me. We have bluejays in our yard all year round. They sure are a pleasure to watch. We don’t feed them shelled peanuts as we were told they choke themselves with them.